Kia are being very clever with their model line-up. They give you a complete car with all the necessary appliances, a choice of two trim levels , two engines sizes and either manual or automatic. Simple, effective. Just like their cars. 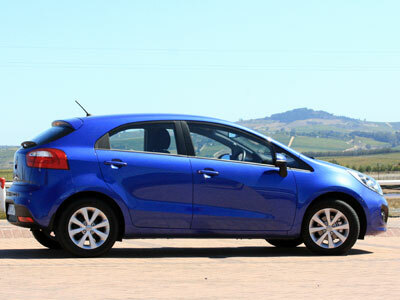 I tested the 1.4 manual Rio in basic trim priced at R157 995. You get a lot of car for your money. She is beautiful. People take a second look. Kia have got it right with the Rio, whatever “it” means. The lines and dimensions are in balance and are pleasing to the eye. Viewed head on, new Rio has its own unique interpretation of the Kia corporate grille, which is integrated with the front lights. It works well and is much prettier than the previous car. The new colours are also fresh and appealing. Fresh Beige really suits this car. In profile, the 5-door model’s shorter front overhang (reduced by 25 mm), lowered roofline and increased ratio of body-to-glass, combined with the car’s strong wedge form, gives new Rio a dynamic, sporty stance. Alloy wheels are 15″ as standard but you can get 17″ wheels as an option. She is an eye turner. 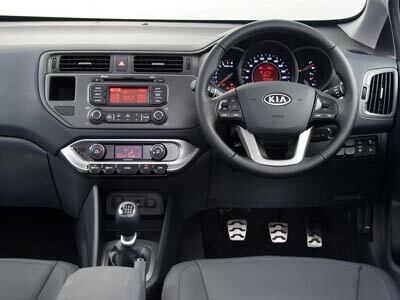 The new Rio’s cabin is more spacious than the previous model and also feels more spacious. Storage space includes a large, 1.5-litre glove box, a larger centre console with 3-litres capacity and pockets to hold a 1.5-litre bottle in the front doors and a 0.5-litre bottle in the rear doors. Features include items such as: steering wheel-mounted audio controls, radio CD player with MP3 compatibility plus AUX, iPod and USB connections and hands-free Bluetooth®. Feature highlights on the 1.4 TEC model are; climate-control air-conditioning, a rear park assist system with 4-sensors, rain-sensing wipers, LED daytime running lights and 17-inch alloy wheels (1.4 – optional/1.4 TEC – standard). The leather steering wheel and leather gear knob feels good in the hand. The cabin looks smart. Seat and steering adjust enough to find a comfortable driving position. The back seat spilts 40/60 and folds down. The 1.2 Rio comes standard with 4 speakers, while the 1.4 and 1.4 TEC model is fitted with 6 speakers (4 door and 2 tweeter speakers). The Rio handles much better than its Hyundai sibling. The brakes lack a bit of feeling, but the steering is very good, light but not dead. It goes where you point it. Handling is good. It feels sporty. With four adults on board you will have to use the gears, but if you are on your own it is a pleasing drive. The manual gearbox is silky smooth and the clutch action just right. Acceleration from 80 to 100km/h feels brisk and the Rio cruises with ease at 120km/h in sixth gear. It is an easy car to park. The interior is a bit plastic. You do get used to it though. Not really a bad thing, but I missed the lack of park assist. On the other hand visibility is good. Not a lot of power on hand when fully laden. I really liked the automatic headlights. When you open the car with the remote the headlights come on if its dark. They also stay on for 30 seconds after you lock the car. For a B-segment car there is a lot of space. Power 79 @ 6300, Torque 135 @ 4200. Consumption I got around 6.5 litres per 100km, combined city and highway. On the open road you should get very close to 6.3. The Rio comes with a 5 year or 100 000km warranty and 4 year 0r 60 000km service plan. The rust guarantee is only 3 years. The new Rio is fun to drive, has the goodies you will want and seems to be well built. Highly recommended, but get a 1.4. Prices start at R139 995 for the 1.2 manual. The 1.4 Tec Automatic costs R181 995. The car we tested was the 1.4 manual at R157 995. 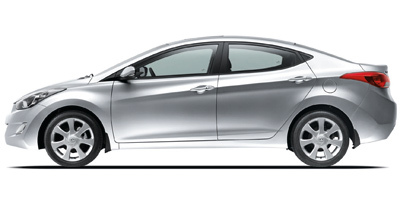 Hyundai have been continuously improving their cars by leaps and bounds. The present Accent not only looks so much better than it’s predecessor but it is much better. I think VW, Toyota and Ford must be looking over their shoulders with some trepidation. This Accent is the equal of the Polo, Yaris and Fiesta. It is by no means perfect, but it is up there right with the rest. It makes up in higher specs what it arguably does not have in name or technological prowess. The Accent looks like a quality car, with flowing lines and an interesting wing-like crease at door handle height rising up to the boot. The nose is better looking in the flesh than in pictures. 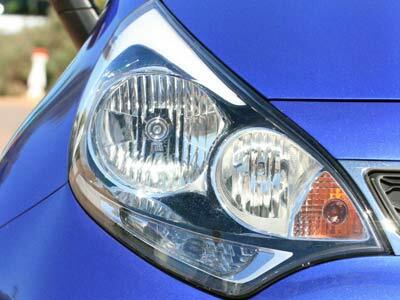 It has intelligent looking headlights, the traditional Hyundai grill and fog lights recessed in flared pods. The rear seems rounded off. Almost as good looking as the Elantra. The car is as pleasant inside as it is to look at outside. The materials used are designed to be pleasing to the eye and pleasant to touch. It does not look cheap. The hard bits have either been cleverly textured or are finished in a smart glossy piano black. The seats are comfortable, and the driver’s is fairly adjustable. You can get a comfortable driving position. Instruments are clear and easy to read. The switches are well placed and are intuitive to use. The sound system has Bluetooth, Aux / iPod / USB Connections, 4 speakers and two tweeters. The Accent’s accelerator steering are both very sharp and take a bit of getting used to. The car is well behaved on the road and is easy to park, especially as it has rear park sensors. General roadholding is good and predictable. Brake action feels right. The steering action is a little weird. It is almost too light, but you will get used to it. The other aspect is a little nasty. At speed it wants to be centred so if you are driving round a long gentle bend it works against you. Once again it it is something one will get used too quickly. There is no vanity light. The multi display in the centre console has a distracting glare at night. Everything appears to be well put together. There were no rattles or squeaks in the test car. The warranty is an excellent 5 years. That tells you Hyundai are pretty confident about the build quality. The Accent is very good value for money motoring for the smaller family. Fuel consumption Hyundai claims 6.4 litres/100km. I got 7.1 litres/100km. Prices start from R156 900. Price of ACCENT 1.6 GLS AUTOMATIC as tested is R178 900. 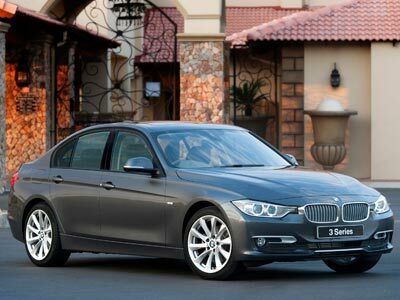 The new, 6th range of the BMW 3 series has just been launched. The new 3 Series Sedan has grown in terms of dimensions. It has a wider track with a long wheelbase and shorter overhangs. It still looks like a 3 series. Increased interior space: a 93mm increase in length enhances the elegant, sporty silhouette of the 3 Series. The rear passengers also gain from the car’s increased exterior dimensions and are welcomed by extra legroom inside the rear doors as they climb aboard. There is also 15mm of additional knee room behind the front seats, while headroom is up by 8mm. The range is available in three equipment lines in addition to the entry-level version. The Sport Line, Luxury Line and Modern Line allow customers to give their car a personal and eye-catching appearance and adapt it to their individual preferences. The careful coordination of equipment features embraces both exterior design elements and the selection of materials and colours for each model. An M Sport package with special exterior and interior features is in the pipeline for the midyear in 2012. Auto Start-Stop function comes as standard with all engine-gearbox combinations. The 328i is a 2.0 TwinPower Turbo. The four-cylinder engine develops 180 kW and peak torque of 350 Nm from as low down as 1 250 rpm, accelerating the BMW 3 Series from 0 to 100 km/h in 5.9 seconds. Average fuel consumption is just 6,4 litres/100km. The new 320i will develop maximum power of 135 kW at 5 000 rpm and peak torque of 270 Nm at just 1 250 rpm. Average fuel consumption is 6,1 litres/100km. The 6 cylinder 335i TwinPower Turbo with 3.0-litre displacement develops peak output of 225 kW and maximum torque of 400 Nm at just 1 200 rpm. The 320d1 develops 135 kW and 380 Nm of torque. An eight-speed automatic, which supports the Auto Start-Stop function, can be specified as an option in conjunction with all the petrol and diesel engines for the new BMW 3 Series. Aimed specifically at the SUV and 4×4 vehicle markets, the new EfficientGrip SUV tyre combines the road grip qualities of the EfficientGrip range, with an active ability to deliver lower fuel consumption, lower CO2 emissions and a quieter ride. The tyre is available for a range of SUV/4×4 vehicles, from luxury/full size vehicles through standard, compact and sub-compact ranges. 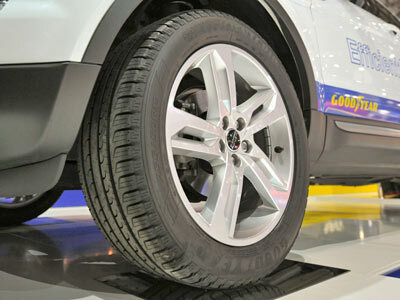 Built utilizing the company’s innovative FuelSaving Technology, Goodyear’s EfficientGrip SUV delivers a tyre that is constructed using a special polymer, designed to improve rolling resistance, save fuel and reduce CO2 emissions. New advanced features include 3D blades in the tread, designed to improve the tyre’s overall contact with the road and reducing the vehicle’s braking distance by several meters . Meeting the demand for improved grip on wet surfaces is an advanced tread compound, tightly woven into the tyre’s structure, which uses traction resins further improving the tyre’s braking on wet roads. The optimized block design and sequence reduces the tyre’s noise harmonics. The Aveo complements the new Chevrolet Sonic in GM’s small vehicle pricing structure with the two models satisfying distinctly different sub-sectors of the segment. The Chevrolet Aveo model range offers a choice of three Hatch and three Sedan variants with a choice of either ‘L’ or ‘LS’ trim. All are powered by a 1,6 litre 16-valve DOHC engine that produces maximum power of 77 kW @ 5800 r/min and peak torque of 145 Nm @ 3600 r/min. Electronic throttle control and multi-port fuel injection ensure excellent fuel economy and low emissions. By way of example, tests conducted by Chevrolet engineers delivered a combined cycle fuel consumption of just 7,3l/100km for the Aveo Hatch. Drive is via a 5-speed manual transmission on L and LS models with a 4-speed automatic option offered for the LS level Hatch and Sedan. The Automatic transmission is electronically controlled and has a “Hold Control” feature that assists in reducing the tendency of the transmission to hunt between ratios. Standard specification on all models includes: Variable rate power steering; ABS braking; 14 inch steel rims fitted with 185/60 R14 tyres; air-conditioning; tilt adjustable steering wheel; driver’s side airbag; transponder key immobiliser system; and colour coded bumpers. On the LS specification models the following are included: Roof spoiler; height adjustable driver’s seat; power operated front windows; central locking; passenger airbag; MP3 compatible radio/CD combination with auxiliary input. 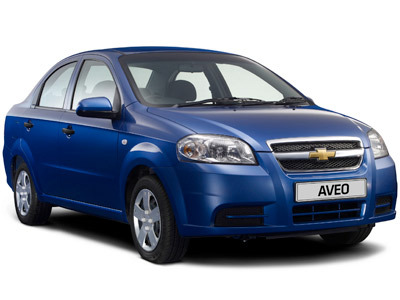 The service interval for the Chevrolet Aveo is 15 000km. Warranty cover with Roadside Assistance is for three years or 100 000km. 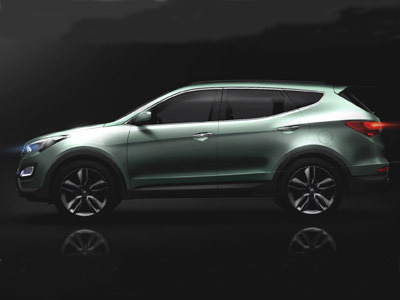 The new Santa Fe will be launched in April, but will only reach SA in 2013. The all-new Santa Fe, which is entering its third generation, has reached worldwide cumulative sales of about 2,56 million units since its debut in 2000. Based on Hyundai’s design philosophy, Fluidic Sculpture, the new Santa Fe adopts its own design concept called “Storm Edge,” which captures the strong and dynamic images created by nature during the formation of a storm. The third-generation Santa Fe features sophisticated and refined lines, completing a more aggressive and classic look than its predecessor. The design adopts the hexagonal grille – a key design cue of the Hyundai family look – a two-tone voluminous bottom car body and wider front and rear bumpers, creating a futuristic and urban-style SUV image. Dynamic side character lines give a more aerodynamic feeling, while emotional details expressed on the exterior design deliver a premium image, suggesting a new design direction for Hyundai’s next-generation SUVs. The all-new Santa Fe, whose core product concepts are “Refinement,” ”Smartness” and “Practicality, ” is expected to be a hit in the global SUV market, offering the best value to customers in every aspect, with its differentiated design, cutting-edge technologies, good fuel economy and practical use of space. 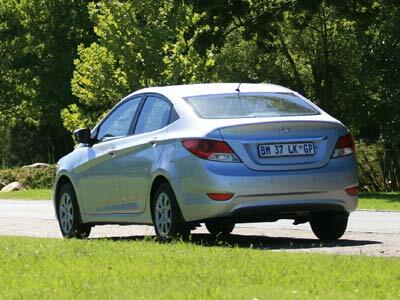 The South African car of the year (COTY) for 2012 is the Hyundai Elantra 1.8 GLS. Once again South Africa’s most prestigious and anticipated motoring event of the year, the WesBank / South African Guild of Motoring Journalists Car of the Year competition provided for some ground breaking news. Hyundai’s Eltantra 1.8 GLS handing the Korean car manufacturer their first victory on local soil. Hyundai had been knocking hard at the door. 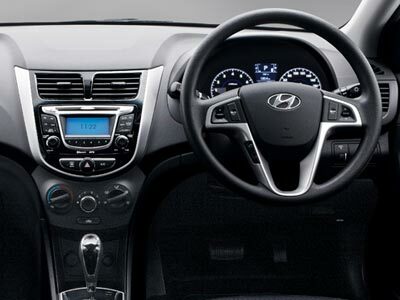 In the 2011 competition Hyundai had two finalists – the ix35 and Sonata – and the i20 was a finalist in the 2010 Car of the Year competition. This has turned out to be a golden year for the Elantra: In January, at the Detroit Motor Show, the Elantra was also announced as the North American Car of the Year, and it also won the overall prize in the Canadian Car of the Year competition. 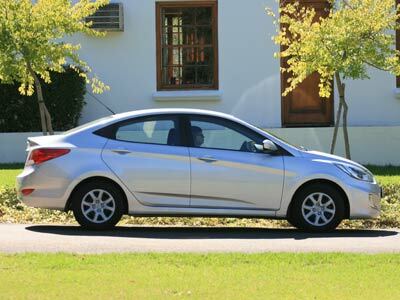 South Africa’s CAR Magazine named the Elantra as the Best Compact Saloon in their Top 12 Best Buys for 2012, and in their latest edition the topCar magazine chose the Elantra as their Best Compact Sedan in their Best Buy edition for 2012.